THIRTY Bristol City Council bosses – all members of the ‘Change Board’, responsible for overseeing a council-wide cuts programme – deliberately withheld from councillors and the public a £30 million LOSS in the 2016 – 17 financial year. Their actions – at the very least – are GROSS MISCONDUCT and they should all be SACKED. Not least because while they were keeping their huge financial loss from us, they were also engineering pay rises for themselves of up to TWENTY PER CENT on the basis of their exceptional ‘TALENT‘! They may also have committed a CRIME. In what other line of work can you deliberately engage in false accounting and not have committed a serious offence? 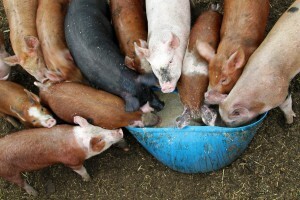 Today we name these thirty shameless CROOKS still earning huge sums of money at our expense. And The BRISTOLIAN says THEY MUST ALL GO and GO NOW. We consider the security of our confidential sources as very important and will never reveal your identity. However, please take sensible precautions when you contact us. 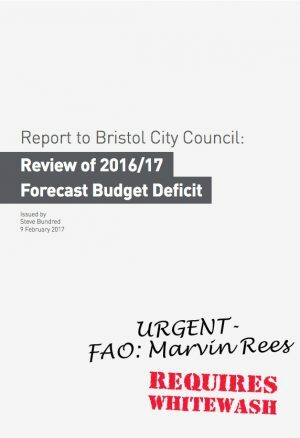 This entry was posted in Bundred Report, News and tagged £30 million, Bristol City Council, Budget 2016, Change Board, Dirty Thirty, Gross misconduct, Illegal budget, Marvin Rees, Overspend, Service Directors, Single Change Programme, Steve Bundred, Strategic Directors on March 20, 2017 by thebristolblogger. 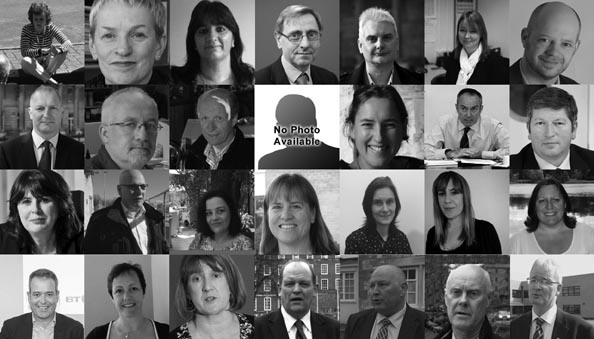 The Bundred Report, published last month, into the council’s ‘accidental’ £30 million OVERSPEND last year revealed that the council’s 30 most senior bosses WITHHELD financial information from councillors and the public. This forced councillors to set – what the Reverend Rees has called – an “ILLEGAL BUDGET”. The report’s author – former Audit Commission boss, Steve “Sticky” Bundred – evades any questions of CRIMINALITY in his report, however. Instead he blames “a serious collective failure of leadership” for the blatant dishonesty from city council bosses. Neatly ducking the issue of whether they have committed a CRIME. A considerably more serious matter than Sticky Bundred’s weak, anaemic and blame-free “collective failure” conclusion. Potential criminal conduct by these managers includes an apparent effort to influence the outcome of the 2016 Mayoral Election by hiding from the electorate the true financial state of Bristol City Council under Mayor No-more Redpants in the lead-up to the election. How would news that the profligate Red Trousered Buffoon had OVERSPENT by £30m have been greeted by the electorate? While efforts to rig the election for Redpants may have FAILED, it makes the conduct no more acceptable. All those involved earn excessive pay from the public purse and are contractually obliged to report, as a matter of course, any concerns over financial mismanagement, fraud, bribery embezzlement etc. at the council . They are all therefore – at least – guilty of GROSS MISCONDUCT. The Reverend Rees has called for a further investigation. We say there is NO NEED. The evidence of these managers’ misconduct is in the Bundred Report. The Reverend needs to ACT. Not run another investigation, which will only let these bent bosses off the hook. We’re not interested in any “NUREMBERG DEFENCE” from these crooks and frauds that they were “only following orders”. They’re paid to THINK and ACT, not blindly follow instructions like a herd of superannuated sheep. To assist the Reverend in firing his bent management scum, we have started the task of identifying all 30. Our results will be published TOMORROW. Rest assured we are HUNTING DOWN and will identify any more of these crooks. We say NO MORE INVESTIGATIONS: disciplinary action and dismissal for the Dirty Thirty now! This entry was posted in Bundred Report, News and tagged £30 million, Bristol City Council, Budget 2016, Change Board, Dirty Thirty, Gross misconduct, Illegal budget, Marvin Rees, Service Directors, Single Change Programme, Steve Bundred, Strategic Directors on March 19, 2017 by thebristolblogger.